Referred to with many different names such as the city of smog, the city of Eternal Spring or the city of love, Dalat is probably one of Vietnam’s most well-known vacation destinations that gives you many great experiences with a range of features the amazing resort there is poetic nature scenery and culture convergenicely. Roughly 300 kilometres from Saigon, the Central Highlands city of Dalat is a great spot to escape the traffic and humidity of the big city. Nothing better than enjoying the sun and light breeze, the cool weather, fresh air of the highlands and pampering yourself at 2 romantic golf courses in Da Lat City: Da Lat Palace Golf Club and Sacom Tuyen lam Golf Resort. So long as you are fond of golfing in Dalat, it is a must to concern yourself with the growing interest in the two listed spots. List some of the most beautiful tourist places that you should not miss when you go to Da Lat. Zen helps people to live in “full awareness” and bring their souls back into peaceful state. Visiting Truc Lam Zen Monastery in the quietness of hills and mountains, tourists are free from everyday worries and seem to be able regain themselves in the greatness of the nature. The beautiful Lake is located in the heart of Dalat city, typical structures of artificial lake in Dalat land Xuan Huong Lake landscapes storage beast for visitors to enjoy, and tourism. The Valley of the love fascinated by deep valleys and Pine Hills blue waters year round. Attractions not only by beautiful natural landscapes that ecosystem, plants around more and make space where it more unique, romantic parts. Intelligently designed by the French architect . In addition to the Nutritional value is also the special European architecture contains many antiques hue, contained wine, deep under the ground. The beautiful waterfall nestled within the city’s space dating, romantic fun that you should not miss while visiting Dalat. Nestled in a pine forest, adjacent to the largest man-made lake in Da Lat – Tuyen Lam Lake, the course was locally designed and sits in a charming mountain valley. The Sacom Tuyen Lam Golf Resort is a beautifully laid out design, situated on the eastern side of the Tuyen Lam Lake. 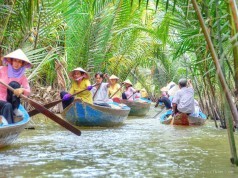 Due to its various sources, Tuyen Lam is known as the lake where rivers, springs and forests meeting each other. At 1000 meters above sea level, the course is surrounded by mountains and stretches across the valley below. Newly opened for public in May 2014, the international standard golf facility comprises an 18-hole-course designed by EKISTIC Canada, it measures 7276 yards and plays to a par 72. 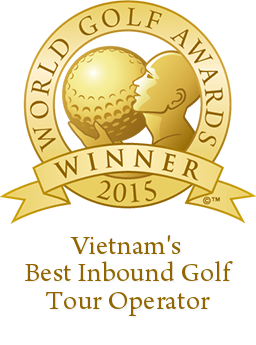 Sacom Tuyen Lam Golf Resort is designed to be an excellent place for summer escape or relaxing vacation. 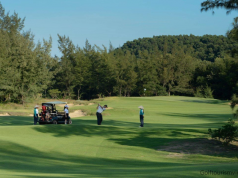 The golf course have distinct views of Da Lat and reach international standard with high challenges, placing along side the terrain of valley area. The 9-hole course initially designed by a French architect in 1922 as a private golf course for Emperor Bao Dai, Vietnam’s last Emperor. 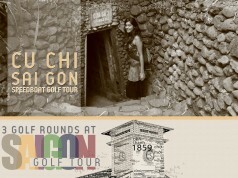 Da Lat Palace Golf Club is proud for its history and contain memories for a Vietnam old time. After the Reunification of Vietnam in 1975, the course was closed until 1993 when Larry Hillblom – the co-founder of DHL did a big renovation that turned the golf course into a full 18-hole golf course which has now become one of the leading courses in the whole of Asia. The course measures 7,009 yards, par 72 and provides an enjoyable challenge for players of all skill levels. Contrary to the other courses in VN, with its year-round cool weather, Dalat Palace Golf Club is the only golf course in Southeast Asia with Bent grass tees, fairways and greens. Binh An Da Lat Village Resort is a unique and charming resort built on an beautiful location of Tuyen Lam Lake, 20 minutes from the center of Da Lat. With a garden full of beautiful temperate flowers alternate green pine trees, you will have relax moments beside your friends & family when visiting here. Day 1: Car pick up guests at airport then transfer to play one round of golf at Sacom Tuyen Lam Golf Resort, check in at Bình An Village Resort Dalat. 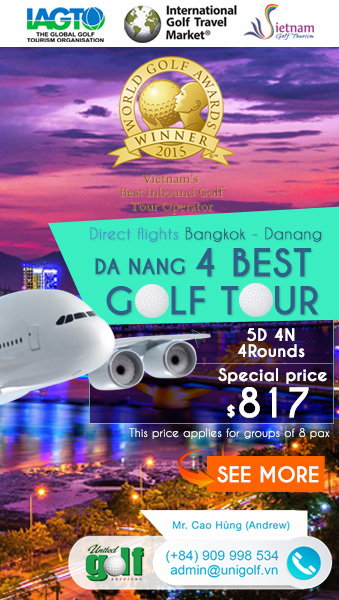 Day 2: After breakfast, you will play 1 golf round at Da Lat Palace Golf Club. Free night. Day 3: Breakfast then car will pick you up to visit some tourists attractions at Da Lat, check out then return to Ho Chi Minh City. I stayed at Binh An Village – Dalat, woa such a beautiful resort with many kind of flower and nice view to Tuyen Lam Lake.